My sister Karen and her family at my niece's wedding in Febraury this year. Another great photo with everyone there and looking smart. 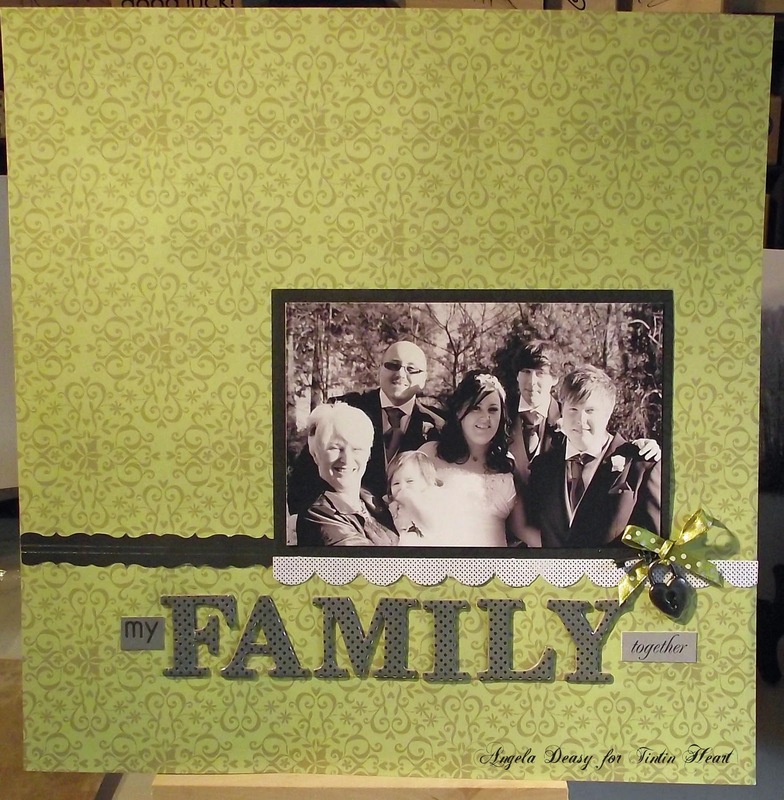 I didn't want to stick to a monochromatic theme for this page so I choose a fairly bright green damask background to make the photo the focus.The green and black colour combination seem to work well. I also didn't want to distract from the photo with too many embellishments. The photo was matted on to charcol gray paper to give it a frame. 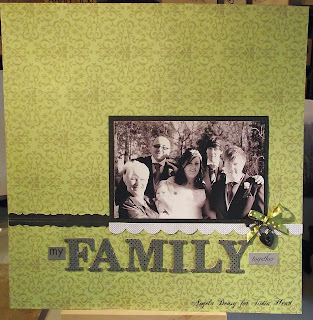 The paper and embellishments were pulled together from two different Simply Perfect scrapbooking kits and the piece of green polkadot ribbon is from my stash. The little heart.lock and key are from Rayher. Thanks again for stopping by and don't forget to leave a comment. Lovely layout, I love that green with the black it makes the photo really stand out. Its gorgeous.